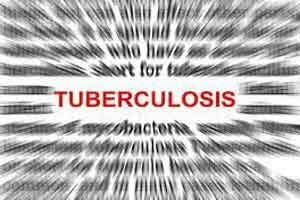 Mumbai: The American Association of Physicians of Indian Origin (AAPI) announced a partnership with United States Agency for International Development (USAID) to end tuberculosis (TB) in India. The AAPI signed a Memorandum of Understanding in this regard with USAID in New Delhi a few days ago, its functionaries said in a press conference here today. “The programme will engage AAPI?s network of private charitable clinics for awareness, detection and treatment of TB. It will explore opportunities for collaboration between US and Indian medical schools to exchange cutting-edge healthcare solutions,” said Dr Naresh Parikh, president of AAPI. “Elimination of tuberculosis has been a matter of national concern for many years now. Through our partnership with USAID, we aim to bring American technical expertise to help strengthen Indias fight against TB,” he added. The AAPI said that it would organise a Global Healthcare Summit along with Ministry of Health and Family Welfare in Mumbai between December 28-30 this year. Matter of disscussion is how to stop tb infection. Right in my view, aware ness of disease trace case, diagnose by gold standard method (Z N staining) culture and sensitivity tobe done then go for treatment. Myco bacterium tub bacili never order any medicine .but treating doctor will give according to their choice taking the name of god and eash their.now all type of people will suffer because of treating doctor mistake. So my conclusion is awareness of disease, diagnose pt ,treat pt. So we can reach the goal.